Will The Real Leaders, Please, Stand Up! My fellow Anti Fed Ed/CCSS Warriors, we’ve seen countless ways in which those involved in the CCSS Machine have welded their power. We’ve seen the damage. We’ve felt the sting as we’re lashed back at for speaking the truth. Are we to give up? Not I! 1) Those sold out to the CCSS Machine and its ruining of our educational system are no true leaders at all. 2) Those of us fighting against the ruinious mess across America, have risen up to become truthful leaders who were united. 3) Some of our Warriors have been swayed by ESSA’s rhetoric of the ‘school choice’ issue. Thereby playing right into the CCSS Machine’s plan of fallacies before facts. The result? In-fighting amongst our combined efforts. 4) Some of our Warriors have remained solid in their stance against the CCSS Machine. How? By continuing to present consistent evidence that, not only school choice, but other CCSS Machine fallacies (data mining is not a big deal; States can actually lead their own efforts in ESSA’s implementation) are about to render all we’ve held near and dear about ‘quality education’, completely useless. 5) Those leaders in our political offices we’ve looked to to ‘save’ our kids, have, for the most part, continued to sell them down the river. Those who’ve dared to stand up against the Machine, have suffered as well. All the while, the CCSS Machine churns on. While we’re looking so hard at one portion of the CCSS Machine, the other parts make moves clothed in ‘greatness’. In truth, these are setting our nation up for total alignment to everything America fought to be free of. Not sure which part of the Machine I’m referring to, while the other parts churn on? As I revealed yesterday, in my highly censored article, the CCSSO or the Council of Chief State School Officers. 1) They’ve posed as leaders we trusted in the past; while, they have proven themselves to be 100% untrustworthy. 2) They’ve inserted themselves into the global push to change American education. 3) They love data mining our students and teachers of all ages. 4) The CCSS Machine group has had the audacity to brag about how their partnering with those citizens who THOUGHT they were helping shape their State’s ESSA plans was a positive move, knowing full well those citizen voices wouldn’t be written in! 6) Most of all, CCSSO owns half the copyright to the Common Core State Standards. 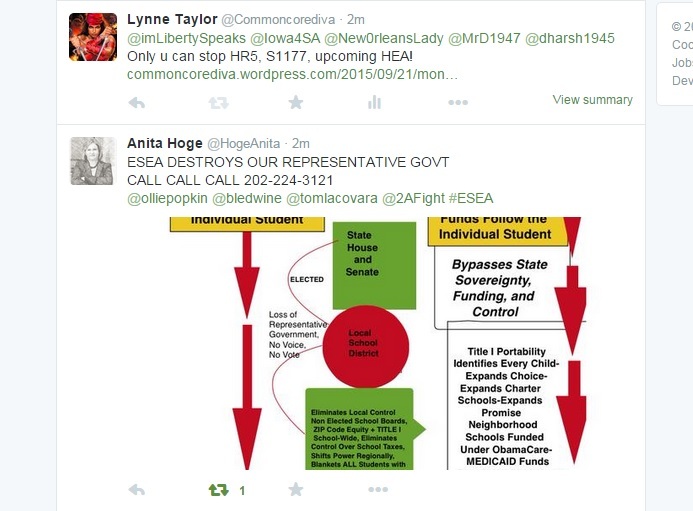 As I’ve proven to you before, ESSA did NOT kill Common Core! It re-branded it! So, in essence, CCSSO will still literally profit off our State educational systems. So much for ‘great’ objective leadership, huh? What Leaders Will We Be From Here On Out? Warriors, we do, in fact, face a bleak outcome in the War Vs the Core; if we continue to ignore the ENTIRE set of CCSS Machine’s movements. How can this be done when all the ‘cards are stacked against us’? 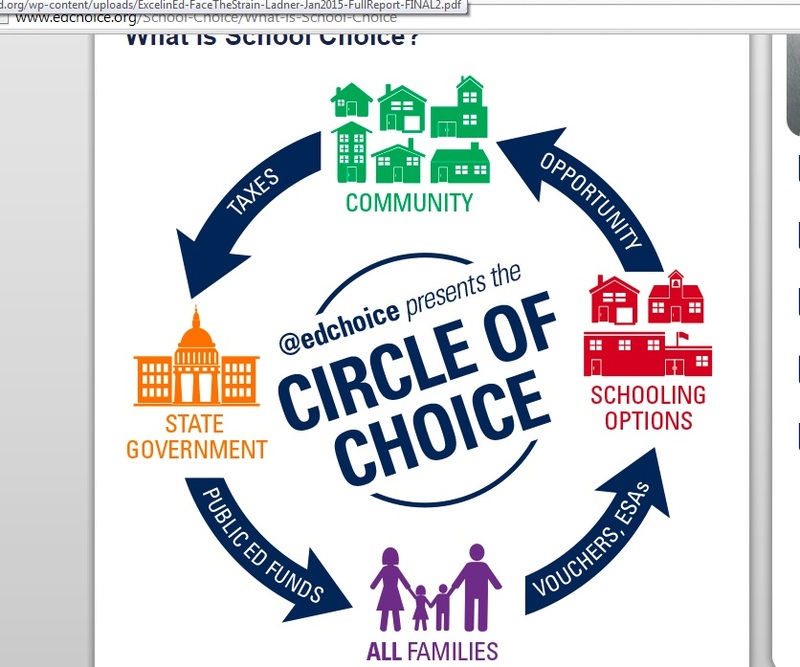 1) Get the facts about the CCSS Machine fallacies for school choice, data mining, etc. 2) Know that the assessments geared to the CCSS Machine will not be going away anytime soon due to the ESSA mandates. This means the participation rates will also be enforced. Mandates in the WIOA (Workforce Innovation and Opportunity Act) and HEA (Higher Education Act) also ensure high-stakes assessments are here to stay. 3) Petition your States to sever their membership with the CCSSO. Find out if there is a State level, or even, a federal level law requiring membership in this sold-out-to-the- workforce-global-way-of-21st-Century-living. Is there a State level or federal level policy which has been misconstrewed to fool each State into thinking membership is required? 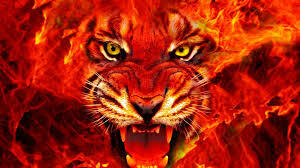 4) Fire up the Warrior’s cry against the CCSS Machine lobbyists who have purchased politicans votes. Both at the State and federal levels. If the CCSS Machine believes we’re divided and in-fighting, here’s where we can prove it wrong! We’re NOT going away! We will NOT surrender each other to this one-way-to-learn-one-way-to-conform system! We are STILL that mighty force which outnumbers the CCSS Machine, question is, will we continue to lead like we believe it? We must face the fact that there is SO much more to taking down the CCSS Machine than simply at the federal level. We MUST look at our States. The biggest portions of education funding in each State is from within, meaning your tax dollars. Getting the States out of the CCSSO, is a definite beginning to true State-led education. 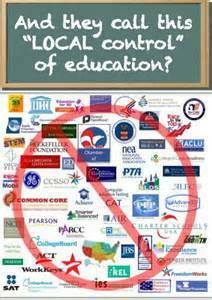 Repealing all federal level education laws will absolutely re-instate our U.S. Constitution’s State Sovereignty in education. Finally, while it may appear we face a ‘stacked deck’, appearances can be deceiving. We must carry ourselves as leaders who want a victory SO bad, we will be the mightest we’ve ever been! Warriors, as we leave each other to celebrate this Holy Weekend, know that we STILL have much to accomplish. As such, most of next week, I will be away helping create a new and special Warrior tool to aid us in our War Vs. the Core. Use this article as a ‘study guide’ for how your troops can unite and formulate a great strategy to help your State regain its Sovereignty. A very important follow up to Monday’s article about local school boards. Before that closing statement, I also shared with you how I noticed a pattern of counties in NC which chose to be held to AdvancEd’s standard of accrediting. I’ve got some information about AdvancEd below. Here is what I’ve previously written about them. AdvancEd is chosen by several States to be the ones which hold school boards accountable. Here are just a few noteworthy items about the mindset behind the company holding your board members (schools and States, too) accountable. What does this mean for the school board? Any and all schools wishing to be a part of the AdvancEd ‘team’, must abide by all the policies and procedures laid out by AdvancEd. AdvancEd serves school districts, b) systems of schools, c) corporations, and, d) Education Service Agencies, (ESAs). 2) Be global! According to a NC General Assembly document, “AdvancED represents tens of thousands of schools and districts across the United States and 69 countries worldwide“. Considering the per school/ed service agency (ex: Sylvan Learning Centers)/school board, this will be quite a profit maker for AdvancEd. I found an AdvancEd Application from 2016, where the Group was seeking Pennsylvania’s authority to operate in businesses like Sylvan. Kumon Math Centers were included, along with others. 1) A NC County’s (2012-13) AdvancEd Report (Note the CCSS Machine agenda/ties) click here. 2) According to the NC State Board of Education’s Accreditation information, schools must be accredited, BUT they do NOT have to choose AdvancEd. See the document below for what the SBE (State Board of Ed) considers a ‘savings’ for schools to be accredited. As another example for where to look, the NC State Legislative Accreditation Document shows how the command chain works. Before we move on, what do we, as Warriors do, when we discover our county school board adheres to BOTH AdvancEd and our State Board’s accreditation? Does that mean our taxpayer dollars are twice used without our voice?! If only one is adhered to, which one wins out over the other? Is it the State or AdvancED?! These are not actually ‘school boards’ in a traditional sense. The authorizing body is called a “NC Charter Advisory Board”. Written out in NC General State Statute 115C Article 14A. If you wish to see Chapter 138A, access it here. Warriors, re-read that last line, please. 2) These APPOINTED members serve in 4 year terms. 3) These members basically become the State Board of Education’s cheeerleaders for charter schools. 4) A new office within the NC Dept. of Public Instruction was created per this 14a chapter. It’s known as the Office of Charter Schools. Here’s the ‘kicker’, the Office is ‘subject to the supervision, direction, and control of the State Board of Education’. As part of the subjection, more appointees will be put in places of power. Warriors, do you see a pattern here? More appointees means LESS VOICE by taxpaying citizens! Warriors, if you recall yesterday’s article, I laid out for you quite a few questions about school boards and the pro CCSS Machine member ties. AdvancEd has been mentioned in more than one NC County. For example, I told you the county I live in has written in their school board policy to maintain their accreditation ties to AdvancEd and/or the State Board. Iredell Charter is also a ‘tutition free’ public charter school. There is a ton of information you should read if you are interested in learning how a ‘tutition free’ public school is governed. However, look below for a better definition of HOW charter schools are funded. One more thing about Iredell Charter. It’s a Charter School USA managed educational institution. I tied AdvancEd to Charter Schools USA back in 2014. The focus of that article was the behavior management being bred in these ‘alternative’ schools. What About Private Education and Homeschooling? Here in NC, private schools and homeschools are under the authority of the NC DNPE (North Carolina Department of Non Public Education). As a ‘retired’ home educator in NC, I know this Department well. I’ve seen it shift from helping separate public education from private (NC considers homeschooling a legal form of private education). However, since 2013, this Department has been ‘relaxed’. How? A law set forth to protect homeschooling (see Part 3 of the law) was changed ever so slightly under the guise of giving MORE choices to those families who chose to educate their own children. Guess what? It happened. Once of the BEST ways in which the lines were blurred was through the NC Virtual Public School. Thanks to ESSA, the blurring of lines will INCREASE. 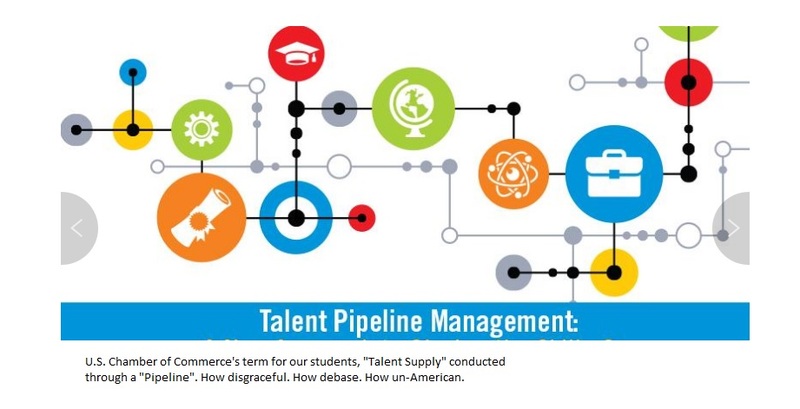 Notice that NC’s Virtual Public School is also carrying out the State Board of Education’s bidding: ‘producing modern learners’ for the “21st Century”. Warriors, let’s not forget that some States have home education out in the open and not protected under private education clauses. Think about this, homeschool students use the same nationally normed assessments. If they haven’t been mandated to use the nationally normed assessments so far, they will be very soon. So, how will ESSA play out for charters, private schools, and home education? Articles Spelling how educational choices will be impacted via ESSA. Warriors Against the Core, forgive me, but I must speak up. We’ve been together for quite awhile. Day in and day out, we’ve continued to fight for saving our students, teachers, and nation from the egregious CCSS Machine. We’ve survived federal legislation hearings, social media blitzes, local and state level witnessing opportunities, and the heart sinking moments when those almighty Congressional votes didn’t go as We the People wanted them to go (references: ESSA’s passage and Dr. King’s confirmation). Yet, for the most part we’ve stuck together. Win or lose, we have had each other’s backs. Since the election, we’ve seen our nation divide between ‘lovers and haters’; between ‘champs and chumps’. However, when the Trump Transition Team announced a short list for the U.S. Dept. of Ed Secretary, it appears a division is among us, as Warriors. My fellow Moms and Dads; Patriots and Citizens. THIS IS EXACTLY HOW THE CCSS MACHINE will advance their agenda! 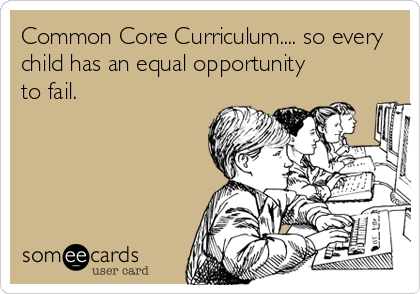 While the entire Anti CCSS and Fed Ed Warrior group is nation-wide, there’s no way each and every one of us will agree on just who should have the education reins of this nation. Depending on where we are in our knowledge of all things Common Core, we may each feel there’s a specific person who would be the best for the job of overseeing the Ed. However, before I go on, please remember, Ed oversees early learning (birth to PreK), K-12, and Colleges, Universities, and Career Tech Education schools. 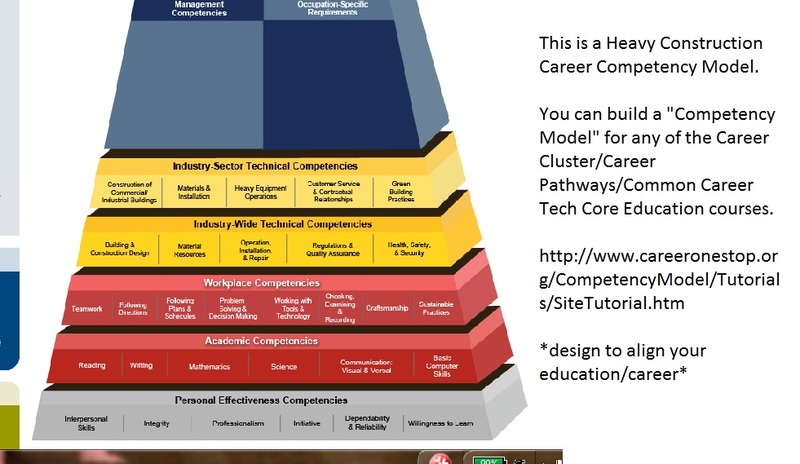 Thanks to ESSA (Every Student Succeeds Act), WIOA (Workforce Innovation and Opportunity Act), HEA (Higher Education Act), and all the connecting laws, the CCSS Machine has almost completely aligned our nation to a CBE (competency based education). If we are SO opposed to federally led education, why would we, as the MOST knowledgeable on this illegally based education reform even be satisfied with the Transition Team’s choices? Have we become so resigned that we are willing to take one more elected official at face value? Why are we not doing all we can to suggest names of those truly on our side in this War? Are we willing to rubber stamp other establishment choices? If we truly peel back the layers behind all the candidates on that short list, you’ll find that there ARE connections back to the CCSS Machine in some way. Why are we not being the Warriors/Patriots and bucking this establishment? Isn’t that what We wanted? We should be making every opportunity to influence this Team of Leaders on those Warriors for our children who have a proven, 100% vested interest in our future generation, not in an agenda. It is not only possible to find such candidates, it is imperative! Some of the most SUPERB candidates are those who’ve been fighting this for longer than most of us; who’ve dug into the trenches right by your side; who’ve spoken out or up at countless meetings, seminars, interviews, etc. ; who’ve openly dedicated their lives to education as it should be. These type of anti CCSS/Fed Ed Warriors are the ones I would go into battle with any day. They are not just great Warriors, they are SUPERB Warriors. Dr. Peg Luksik, Dr. Duke Pesta, Anita Hoge, Diana Anderson, Dr. Gary Thompson, Charlotte Iserbyt, Donna Gardner, and Dr. Pat Huff. While they are well known on our side of this War, why have We not uplifted them to the Transition Team? After all to beat the system, you have to offer more than the system. Just consider this, my followers, if we do end up with one of the ‘top choices’ the establishment has tagged, will this be enough to change the system? I doubt it. If we desire only greatness, it won’t be enough. Not when the stakes for our children ‘are through the roof’ important. No, for American education to be free of the CCSS Machine, we must not only demand ‘superb’ people, we must strive for superb results. Superb American education should be the goal of our War, not the same old stuff backed by the same old system for the same old ‘quasi-success’. To have the superb education, we MUST not feed the Dept. of Ed, we must wipe it out. We must not feed the workforce based education marriage of the Depts. of Labor and Education. We must refuse to have the Dept of Health and Human Services use our students as ‘lab rats’. We must openly and often strike a blow to the CCSS Machine. Helping further the misnomer of ‘quality education’ in America is none other than our current Administration. From the ‘love affair’ Congress is displaying for CTE to the President’s proclamation for “Education Week 2016”. As I’ve shared with you, countless times with fact based evidence, our current Congress is chafing at the bit to make CTE a ‘saving grace’ for America. Does that sound superb? Our current President is hell-bent on leaving office claiming how much he’s had to do with the educational success in America. Oh really?! As evidence has come along, we’ve seen just how sold out to the status-quo, aligned CCSS Machine education he’s supported and pushed along. Is that superb? Then, the global assessments, the lies about skills gaps and achievement gaps. The fallacies that the only way to teach is via a plugged-in computer instead of a dedicated and wonderful teacher, and yes, even the fallacies of school choice and education savings accounts. Every bit of these things DETRACTS from superb citizens and FEEDS right into the U.N. 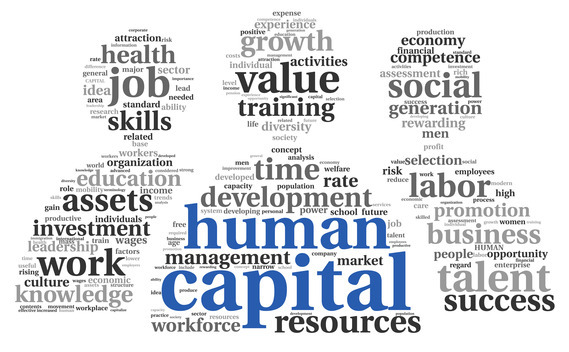 Sustainable Development Goals for educated workers in a global economy as a global citizen. They use our taxpayer dollars against us and open the door for micro-managing how we live our lives. HOW is any of this SUPERB? How will any of this catapult America beyond all this ‘less than great’ education to one that is truly desired? Forget transition, we need TOTAL TRANSFORMATION. Rather than back the establishment’s choices, why not have THEM back ours?! Anti CCSS/ESSA Warriors, Have you made your public comments on the Proposed ESSA (Every Student Succeeds Act) Regulations yet? We only have until August 1, 2016. Lately, I have been overwhelmed with family health care needs, research, working on a special anti CCSS/ESSA project, and mentoring Warriors across the nation. While I’ve not been as active in writing the past couple of weeks, I have NOT been slacking when it comes to what CCSS Machine members are ramping up their propaganda to support the ESSA. The most ‘in our face’ push, is the public comment period surrounding the Proposed ESSA Regulations for State Accountability. In this article, I shared with you how, another pro CCSS group, ASCD was hot on the heels of this announcement. I have to stop and wonder sometimes, why these pro CCSS groups seemingly trip over each other to be the first one at spewing propaganda.. I hope you catch the irony of the numbers gap in reporting. Did you notice the pro CCSS/ESSA group leading? It is the NEA! The National Education Association. If you want to see how the NEA is sending a mixed message, simply access their website. A screen shot is below. The mixed message explanation will be below it. Mixed messages: While the NEA is accurate in stating the ESSA will continue NCLB (No Child Left Behind) style of assessments with its rewards and punishments for all, that is about all they are accurate on. Those ‘opportunity gaps’ ESSA is supposed to close? Nope, a BIG fallacy! When you read the ESSA as in-depth as I have, you can point to the sections where gaps will NOT be closed. Notice how the NEA is also lifting up ‘weighted evidence’ is needed in the forms of early childhood education, AP courses, etc. Again, if you have truly read the fine print of the ESSA, you will know these ‘education opportunities’ will be used AGAINST the students AND teachers when accountability enters the picture! How? The ESSA plainly points to everything learned and taught MUST be in preparation for post-secondary readiness! Funding for early education through high school will be weighed against how many students in your States are enrolled in post-secondary education! All this doesn’t even begin to address the levels of data collection, mining, and sharing that MUST occur (and is mandated) via the ESSA! Let’s also remember, Warriors, the NEA was a banner heralding group publicly thanked by Senators Lamar Alexander AND Patti Murray after the ESSA was passed. Alexander’s fallacy is the ‘state led’; Murray’s is the ‘quality early education’ which is double speak for mandatory (and universal) birth to PreK education! So, what are the leading comments the NEA is leaving when it comes to these Proposed Regulations? It appears to be a ‘canned’ message. You have the option to leave your name, as I saw some folks who did, or you can remain anonymous (as seen below). You can also choose from ‘educator’, ‘paraeducator’, and other titles when commenting. Is the NEA alone in sending mixed messages about the ‘greatness’ of ESSA?! No! Remember, ASCD is already publicizing much. But what OTHER groups are there? The CivilRights.org folks will be hosting an ESSA Proposed Regulations Webinar in early July 2016. It is by invitation only, from what I can find. Other groups giving webinars in support of ESSA, or more, pointedly, shaping your mind toward ESSA are iNACOL, Parent Central Hub, The School Superintendents Association, ASCD, White Board Advisors, EdWeek, and the U.S. Dept. of Education. You can find more when you type in a general search for ‘ESSA Regualtions Webinars’ on your own. What is a Warrior To Do? When it comes to the Proposed Regulations for ESSA?! Protest them! Provide truth based evidence as to WHY the Regulations are toxic in nature. Show HOW the Regulations support the CCSS Machine. Be sure to keep reading my blog, in about 2 weeks, I will be able to tell you much more about how we CAN STRIKE a blow to the CCSS Machine’s prize law, ESSA! 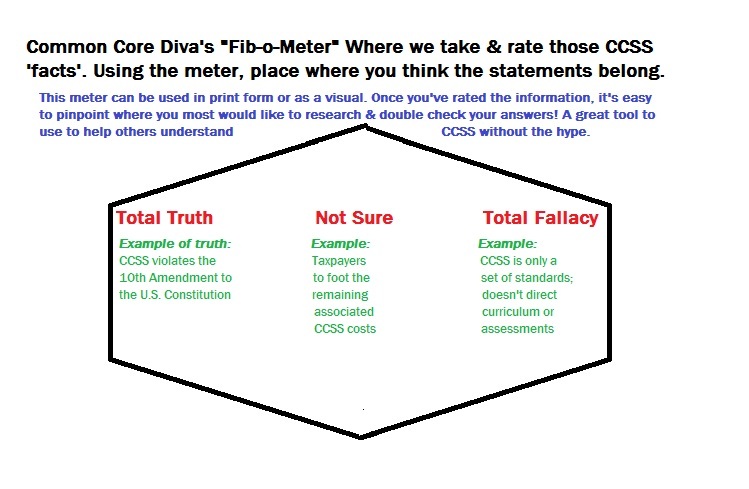 Think of today’s “Fib-o-Meter” as the collection of the biggest fallacies we’ve heard/seen/experienced about CCSS so far. Enjoy! So far, 3 articles about Common Core and superintendents! Not only do students get penalized by Common Core, or teachers, but superintendents are being held to the Standards as well. Given that many of our state level superintendents are pro Common Core, you’ll need to see the first one from Sept. 2014: https://commoncorediva.wordpress.com/2014/09/19/fib-o-meter-friday-state-superintendents-common-core-standards/ Not only will you see the attempt to rebrand CC, you’ll get to see how. Follow that with the 2nd CC/Super article that was created via reader/follower requests. It’s from Sept. 2014 as well and features more switcheroo tactics as well as bold face lies! See: https://commoncorediva.wordpress.com/2014/09/26/fib-o-meter-friday-more-cc-aligned-superintendents/ The final CC/Super article from Oct. 2014, features Teach for America troops in addition to the final requested state superintendents. See: https://commoncorediva.wordpress.com/2014/10/03/fib-o-meter-friday-even-more-state-superintendents-common-core/ For research purposes, see how aligned each of these Supers are. More than likely they will still be just as CC discipled as before. Lastly, for those new to the fight, you might find the fallacies of the Common Core interesting. Got something related to Common Core you’d like to see run through the Fib-o-Meter? Let me know and I’ll do my best to research it. Thanks! What could be considered dangerous is sometimes easy to see, other times, not so much. Those of us fighting Common Core and all that it entails know the battle’s been a long one; that we still have miles to go before a real victory can be claimed. In my post for today, I’d like to take you along in my thoughts to several places concerning Common Core and we, the citizens. 1) I fight, not so much for my children alone, but for all students. Why? I know Common Core is more than K-12. I know it also involves other acronyms and is in more places than most people believe. I fight also because our U.S. Constitution, federal law and the states as sovereign are being ignored, trampled on, and besmirched. As a citizen, I’m deeply offended. 2) I have been researching this since 2009, I’m not a new kid on the scene, nor do I write or publish information without checking into it from several resources that I know I can rely on. If you find you don’t like something, please remember, I am a MESSENGER, not the creator of this battle. Every article has been written, not so I do your thinking for you but rather, so you can derive your own conclusions based on all the evidence proved for you. This is why all those links, screen shots, embedded files are there. 3) I do my utmost to be fair, to listen to your comments. However, labeling me as ‘uninformed’, ‘crowd monger’, ‘pot stirrer’, ‘fear monger’ are not helpful to either of us. Our quarrel is with Common Core, it shouldn’t be with each other. Yes, I’m fallible, and when I make a mistake, I will do my best to clarify, correct, and move on. Choosing to write articles on a daily basis takes a tremendous amount of time, creativity, and gumption. Please remember, I am an activist, an advocate of freedom..AND a volunteer. That said, you need to know I take my position as seriously as if I were being paid. Why? Because getting the truth, no matter HOW unpopular is more important to me than anything else. Since I’ve been following the ‘fed led ed trail’ since 2009, I’ve amassed more hard copies, filled 2 computer hard drives and am working on my third. There is no assistant for me, at this time. My point? My research is varied, it’s massive, it’s vital. Some days, you’ll find it to your liking and other days, you don’t. Regardless, consistent information is what I seek to provide. I have gained your trust because of my consistency. That is not only a serious honor, it is a tremendous guiding mindset. Let’s remember, we’re all adults. We use social media as a tool. Our names, our reputations, and our conversations are appearing in public for ALL to see. When in the battle against Common Core, tempers will sometimes flare. Feedback, I do ask for. I also have asked for kindness, respect, and let’s keep it about the issue NOT the person or people. If we must disagree, let’s discuss the root, not the outcome. As we all know, the disadvantage of social media is we cannot hear each other’s voice, so tones can be misinterpreted easily. To be on a team fighting this together is an honor, I’d like to keep it that way. As a blog writer I do NOT, nor will in the future, take part in the following fallacies—especially in the battle against the CCSS Machine. “Where there’s smoke, there’s fire”, ie: a ‘hasty conclusion’ or ‘jumping to one’. What you read hasn’t been written in haste, nor after reading a few things and jumping. Again, tons of time, consideration, and feeling go into each and every article you see, read, and share. 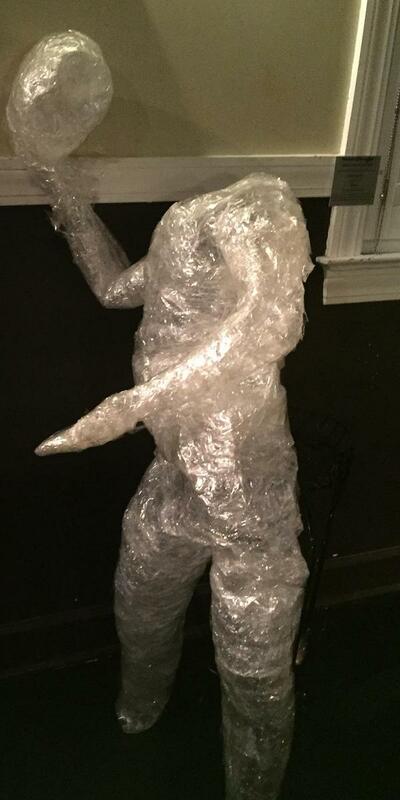 “Scare”, “Taboo”, “Transfer”, or “Straw Man”, ie: controlling or manipulation of what I discover and share. It is what it is. No more, no less. I have reserved one day a week for my opinions, the other 6 are divided into CCSS categories. Why? 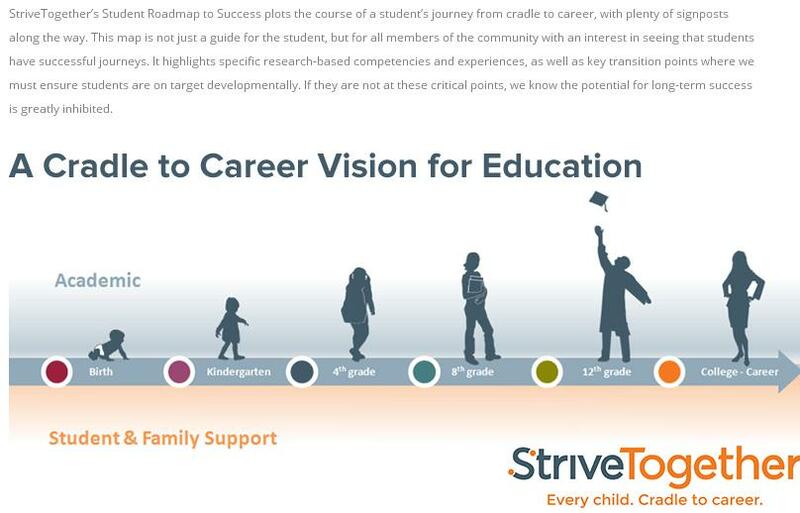 Because I have found there is so much connecting CCSS to so many other things, you need to spread it out. I’m not into ‘snowjobs’(using irrelevant information to ‘prove’ something relevant), ‘lying with ignorance’, ‘lying with statistics’ (both are related to the ‘snowjob’). If you’ve noticed, I don’t usually name call. I don’t believe in half truths, we get enough of that from the pro-CCSS side. Bandwagon – CCSS is right because so many people say it is! It’s state led because look at all the resources that say it is! Big lie – “Rigor”, ‘deeper, clearer’, ‘richer content’, ‘more flexibility in how I can teach’ (apply other lies here). Circular reasoning – aka: ‘begging the question’; ie: repeating the same thing multiple times, but using different words each time to back up your claim. It’s false arguing. Blind loyalty – a respected leader or group supports something, because they do, it’s trustworthy. While I am a dedicated warrior against CCSS, I, like you, are human. I make mistakes. I admit it. We all make mistakes, especially when we are passionate. However, our opponents do not need to see a division in our efforts. Where there’s a division, there’s a weakness. We, on the same side of the battle, don’t need division either, it causes bitterness. Information I share is to fortify your stance, not weaken it. None of us have time for that. 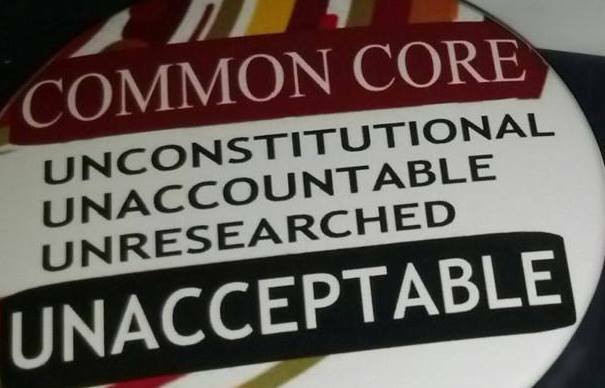 Please remember, no matter what group supports the CCSS Machine, what person who we are surprised by in their support of the Common Core..the Standards are ILLEGAL. For me, that’s the bottom line. I don’t care how rich, famous, generous, or whatever a group or supporter is. .if they stand by the Standards in any way, they are basing that support on a lie. That hurts our citizens. It’s a principle too many are willing to overlook. I will not apologize for shedding light where it needs to be. Remember, there are many who seek to destroy America, they are accomplishing it every day that CCSS continues to be allowed to exist, be taught, and adhered to. I want to help change that WITH you by my side. These reasons and hundreds more like them are WHY I do WHAT I do to help the anti-CC movement. I am humbled you choose to walk this daily battle with me. 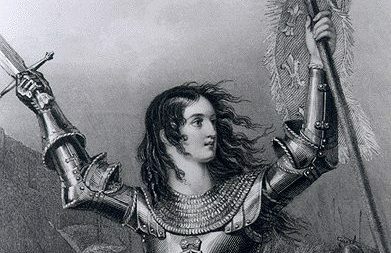 Your advancement in battle is my reason for blogging. Thank you for your support. I trust we can continue down the anti-CC road together.